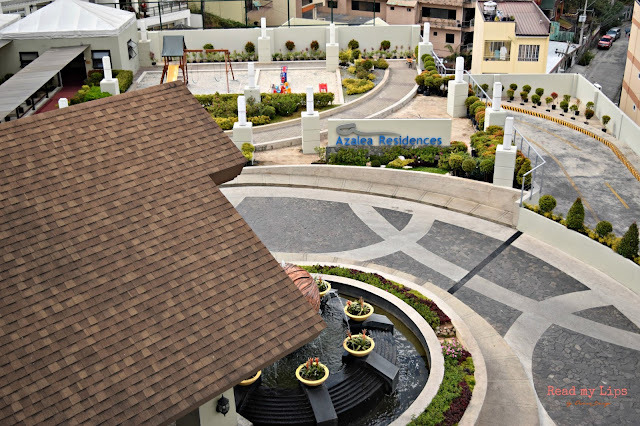 My recent trip to Baguio City has brought me to Azalea Residences. Prior to coming here, I have already heard a lot about this place. Let’s be honest, it is not one of those extremely cheap accommodations in Baguio so I wonder, why are people flocking to this place? Listed below are the reasons I found out myself after my 3-day stay here. Read until the end as I have tips on how you can save money while staying luxuriously in this hotel. I believe this is Azalea’s biggest strength. Azalea Residences have homey and spacious rooms perfect for staycations. Ours was a two-bedroom suite where the sofa bed was converted into an actual bed; so there were three beds all in all! We were only three in the room so we have one bed each, with flat screen TVs in front. It could house a family or group of 6 and you could actually ask the staff to add in more sleeping mats for more savings. By the way, the best rooms are those with front balcony, be sure to ask the front desk to place you in those rooms as they have the best views. 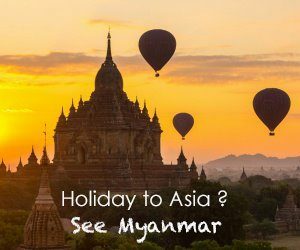 Additionally, our room has a rice cooker, two-door refrigerator, airpot, induction stove, and sets of kitchen and tableware. These complete the homey vibe and would save you more money by not eating out. 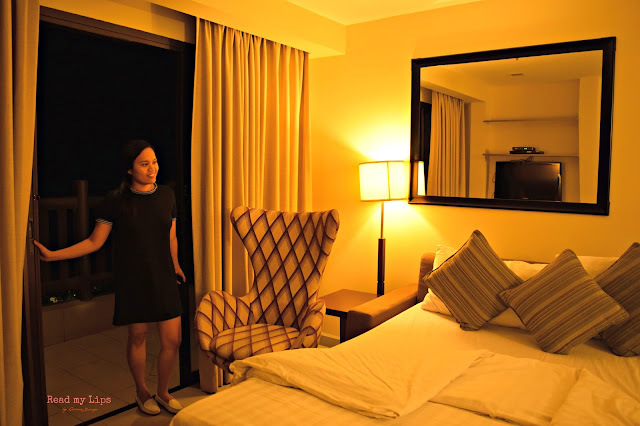 Would you prefer to stay in while in Baguio? Definitely! 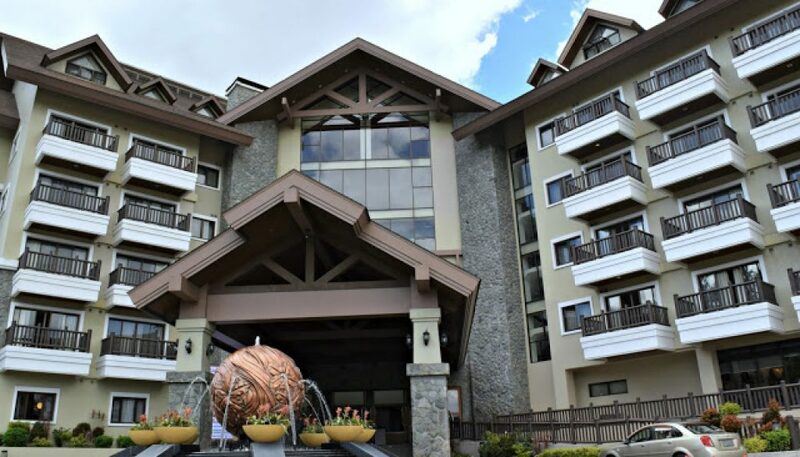 We all know that Baguio is a place you can always visit out of whim (that is, if you are tolerant of long rides). I myself have been here countless times already and I’ve almost seen all the attractions more that twice so I wasn’t so thrilled to roam around. It is also summer and Baguio isn’t immune to the extreme heat of the sun. So yes, I actually spent most of my free time inside the room because it just made me feel relaxed and lazy! For me, nothing beats lounging around before and after a very long road trip. Okay, I take it back! I didn’t realize that this side of the country has a lot to offer besides Camp John Hay, Mines View Park, Strawberry Farm, and Sagada. 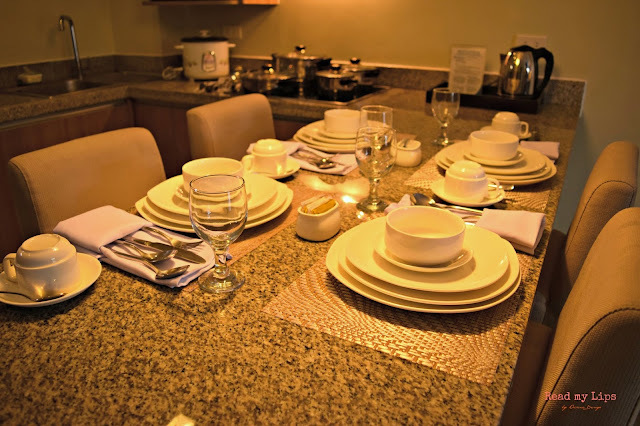 Luckily, Azalea Residences offer tour arrangements for families, groups, or couples. They aptly call it the “Pick Your Holiday” service. I was able to experience Cordillera’s artistic community when we were brought to Tam-awan Artist Village and Ili-likha Restaurant. I even climbed my very first mountain: Mt. Jumbo in La Trinidad. We were accompanied throughout by the very accommodating Travel Concierge Head and other staff from Azalea. They tirelessly brought and fetched us to and from every destination. The best part is, we even have a nurse on board! Indeed, superb planning! I would definitely want to experience this “Pick Your Holiday” service with my family. This is because we are the type of people who would prefer a dedicated tour vehicle than take public transportation when traveling. I already know what my mom and my sibling’s reactions would be if I propose that we do a DIY tour. It’s just not their thing. Having a private vehicle and guided tour saves us time and energy. If you are like us, Azalea’s tour arrangement might be perfect for you! Azalea Residences serves a wide selection of cuisines and drinks in their Tradisyon Coffee Shop and 8° Bar Lounge. Buffet starts at Php 280 per person and everything looks just too Instagram-worthy and tastes delicious, of course. 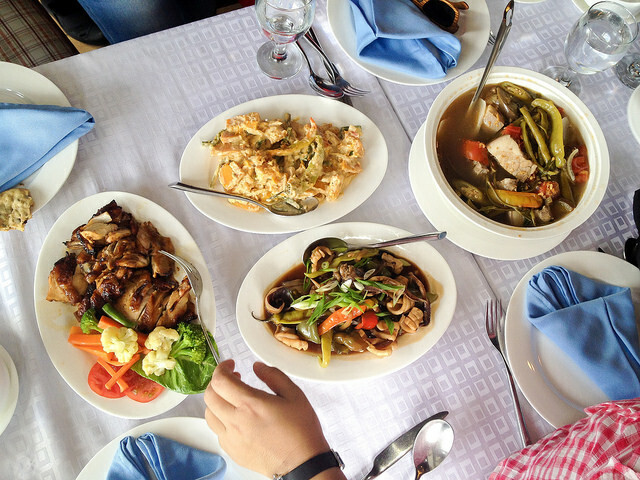 During our first meal there, we were served with Filipino dishes like Chicken Inasal, Stir-fried Squid, Pork Sinigang, Kare-Kare, and some vegetable viand. Our dinner was Mexican-inspired cuisine: pizza, pasta, mojos, salad, and fried chicken. On the following days, food was either packed, picnic, or buffet-style. 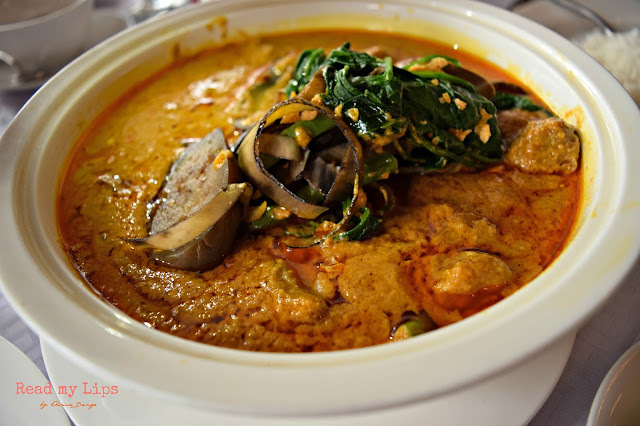 My absolute favorite is their Pork Kare-Kare. When it was served during our first day, the rich Peanut Butter flavor memory wouldn’t leave me! I could live on that sauce alone. In fact, during the meal times that followed, I was hoping and praying that it would be served again. Be sure to try this dish! I noticed that the food servings from Tradisyon Coffee Shop were plentiful despite being reasonably priced. The staff were very responsive and when we weren’t eating buffet-style, they were more than willing to bring our leftover food up to our room! The Azalea Vacation Club is a holiday membership scheme where members can have exclusive privileges such as free stay, discounts on food, lodging, and many other perks. For as low as Php 1,390 per month, members can have perpetual vacation rights to all of Azalea branches! For now, they have Baguio and Boracay, but branches in Davao, Cebu, and Angeles are also in the works. This membership can be passed on to future generations in the family so that the fun never stops. Sweet, right? Upon arrival, we were given Wi-Fi passwords together with the welcome drinks. I didn’t have any problems with the connection anywhere in the hotel. If you have noticed, I have ranked all the reasons from the least important to the most essential ones LOL! Honestly, I took Carrot Man’s rise to popularity with a little shoulder shrug. However, this trip to Baguio has proven that there are indeed a lot of handsome men and gorgeous women in Baguio! I have no photograph to prove this, I wouldn’t be caught dead asking for a selfie with them. Thus, you have to see it for yourself! So, who’s packing their jackets now? But kidding aside, they have the most accommodating and responsive staff. They gave guests the feeling that they are all ready to help anytime and without limitations. The staff at Tradisyon Coffee Shop are all alert and observant, but not in an irritating kind of way. No request is too little for them. 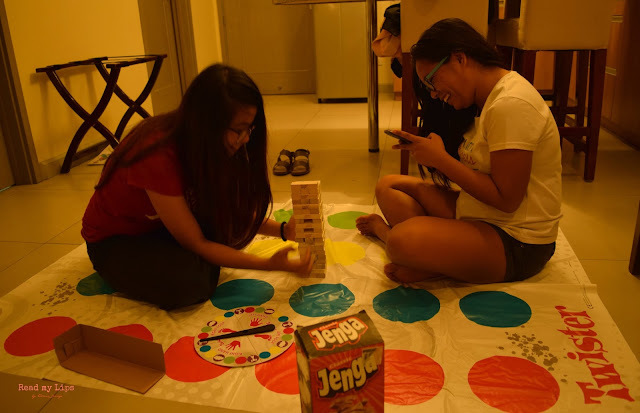 We even requested for board games and Lo and Behold, a set of Jenga and Twister was delivered promptly to our room. There you have it! If these reasons wouldn’t make you book one of Azalea’s rooms, I don’t know what would. 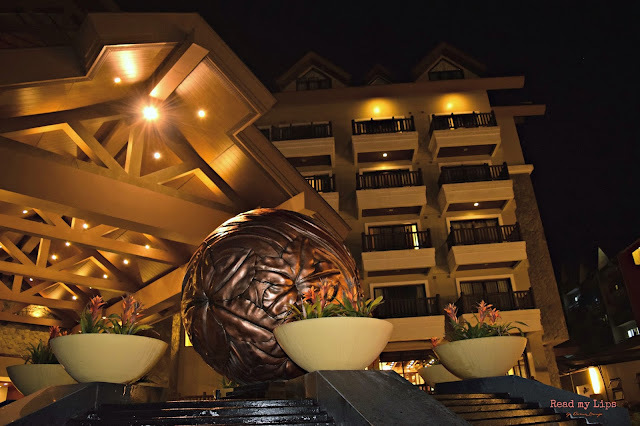 It’s quite hard to find a hotel as big as bordering luxurious yet small that provides personalized service, and that’s how I can describe my experience with Azalea. Azalea’s published rates are somewhat pricey, but just look at those benefits above and tell me if the rates isn’t worth it. To get amazing discounts, call their direct line 450 1151, 0917 8611641, or 0919 9944140 now. Also, follow their social media accounts as they post promos there. Currently, all weekday travelers can have a free room upgrade from a 1 bedroom to a 2 bedroom suite. That’s definitely great value for money! Have you been to this place? What can you say about it? Disclaimer: The trip was complimentary but all views are my own.